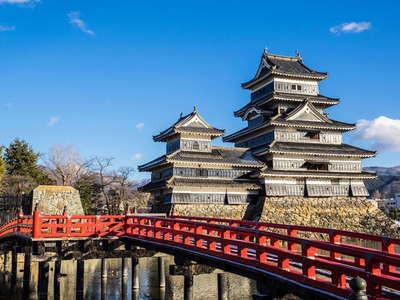 Whether you are visiting for the first time or are already familiar with Japan's culture, there is always plenty to discover about this fascinating country. 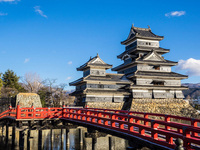 To celebrate the launch of its new trips to Japan, including Hiroshima, Takayama, Nara and Kyoto, Rickshaw Travel has put together its top fun facts to help you plan your next trip. The festive food in Japan isn't what you might expect. Instead of a traditional turkey roast, most will head to their nearest KFC branch on Christmas Eve. Around 3.6 million Japanese people feast on the KFC Christmas Dinner, despite hours of queuing and even ordering weeks in advance. Japan has extremely densely populated cities, but surprisingly around 70% of the county is uninhabited forest and mountains that aren't suitable for farming. Good manners are highly important in Japan, but when it comes to eating noodles, there's only one way to eat: LOUDLY. Slurping is a sign you're loving your noodles, as well as cooling down them as you eat. Bibs are sometimes provided in restaurants, however, by the time you leave Japan, you'll be able to polish off a whole bowl in a white shirt and walk out spotless. Japan has nearly 7,000 islands, and the island of Okunoshima in the Inland Sea is best-known for its floppy-eared population. Okunoshima was used to test weapons during World War II, but apparently, some of the test subjects escaped after the war. Regardless of how they got there, the numbers of bunnies flourished on this predator-free island and both dogs and cats are banned from entering. The number four ('shi') is widely avoided in Japan, since it sounds too similar to the Japanese word for death. You'll notice while in Japan that buildings don't have a fourth floor, products are generally sold in sets of five or three and particular care is taken to avoid finding the number in daily life. Japan is well-known for festivals; however, Hadaka Matsuri is one of the strangest. Japanese men in their thousands strip naked in a bid to secure a fortune-filled year. The average delay of Japanese trains is 18 seconds - Southern Rail customers won't believe their luck! Eel-flavoured ice cream and baked potato Kit Kats are just two of the crazy flavours you can find during your time in Japan. Kit Kats are the incredibly popular sweets (as 'Kit Kat' sounds like 'kitto katsu', a 'good luck' saying). There are also edamame, wasabi and ginger ale flavoured Kit Kats, too. People don't have signatures in Japan – they have their own family seal instead (very Game of Thrones). These are called Hanko, and the seal is your name made into Kanji characters. They are made from silk, or plant-based paste and adults will often have three variations of Hanko; one for signing off letters or personal matters, a bank seal and an identity seal. In Feudal Japan, wealthy lords built homes with intentionally squeaky floors (called Nightingale Floors) as a defence measure against ninjas. Pure genius. Rickshaw Travel's new trips include a mix of popular highlights and meaningful experiences, which offer travellers a taste of authentic Japanese culture, history and adventure. Whether it's sake tasting in a local brewery or learning how to become a traditional Japanese gardener, visitors will get the chance to experience the real Japan and travel in a way that the local people and environment also have a positive and beneficial experience. For further information or to book, visit rickshawtravel.co.uk/asia/japan.